Stretch is an unfortunate reality of woven sails. Quantum’s David Flynn takes a deeper dive on the topic and explains why it’s a problem, how it happens, and how to fight it. Contact Quantum Sails Gulf Coast at gulfcoast@quantumsails.com or 281-474-4168 to learn more about how to combat sail stretch. You can also visit QuantumSails.com for more great tips and tricks to help you meet all of your sailing challenges. My first encounter to boating was being drug up and down the San Bernard River near Churchill bridge behind a Yellow Jacket 15’ runabout trying to mount the skis – yes, two skis. I was addicted, and from then on I cannot remember ever not owning at least one boat. 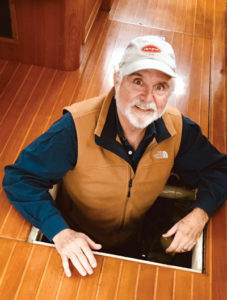 There was always something to be installed, repaired or improved on any boat I owned. My passion crowded the need for 100% adherence to my real job. But it was easier when I bought a Offshore 27 Choey Lee sloop, had it trucked into Houston and planted in my driveway for a major refit, including refreshing the mast and rigging. Can you imagine the West University ordinance police if that was tried now! But still it was not the boat I had in mind for what I had in mind. I had upgraded to a 40’ Valiant and proposed to my girlfriend that we take off and spend a year cruising the Caribbean. She said ‘let’s go!’ and off we sailed for a year across the Gulf, the Keys, Bahamas, DR, Virgins and Windwards and Leewards to the Grenadines. When you’re out on a trip like that, you might need to know how to fix whatever went wrong. 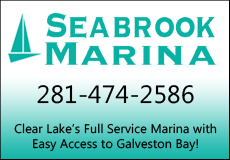 For boat consulting, call Tom at 713-254-3105. First 12 callers to make an appointment get one hour free. 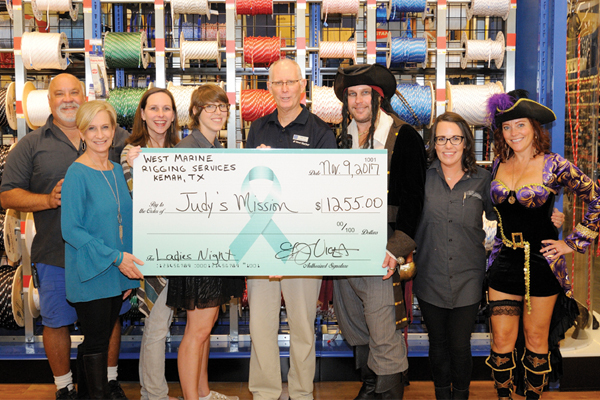 Kemah West Marine’s check presented to Judy’s Mission. 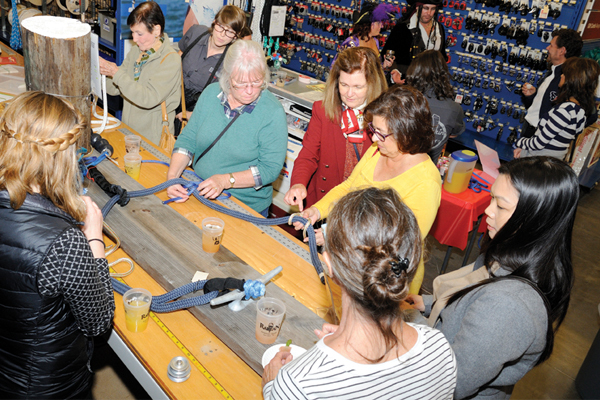 West Marine in Kemah hosted Ladies’ Night in the Rig Shop, and a benefit for Judy’s Mission Ovarian Cancer Foundation on Thursday, Nov. 9. It was an evening filled with education, fund-raising and good times to empower women to be confident boaters, to connect ladies with a shared passion of being on the water and to educate them (along with their first officers who attended) about early symptoms of ovarian cancer. 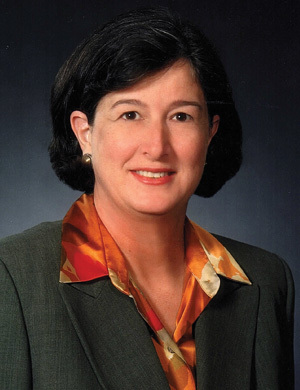 Judy’s Mission Ovarian Cancer Foundation was created in 2010 to honor Judith (Judy) Liebenthal Robinson, Ph.D., a NASA scientist and avid sailor at Lakewood Yacht Club. Despite habitual exercise, a consistently healthy diet, and regular medical examinations, Judy was diagnosed with advanced stage ovarian cancer and died within a year. While battling ovarian cancer, it was Judy’s mission to raise awareness about the vague symptoms and ineffective screening procedures associated with ovarian cancer. She inspired all who knew her; and as a result, friends (many from Lakewood Yacht Club) came together to create the Judy’s Mission Ovarian Cancer Foundation a 501(c)(3) non-profit organization. Along with lots of food, and spirits provided by cosponsor Railean Distillery of San Leon, West Marine Rigging associates Suzanne Kutach and Randi Miller taught knot tying and dock-line instruction, while Rigging associate Josh Gray (with his wife Angie) spiced up the evening in ‘Pirate’ regalia. Knot tying and dock line instruction at the rigging table. 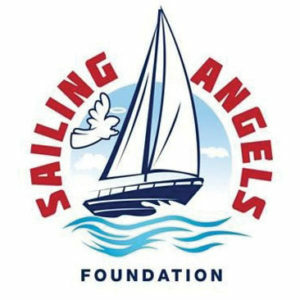 With ‘Rigging Solutions’ donated by the West Marine Rig Shop (Tide-Minder Soft Shackles, Dyneema Cleat- Extender Loops and Shackles, and Sailboat Rigging Inspections), as well as donations from the 2017 Harvest Moon Regatta, $1,255 was raised in silent auction for Judy’s Mission Ovarian Cancer Foundation. 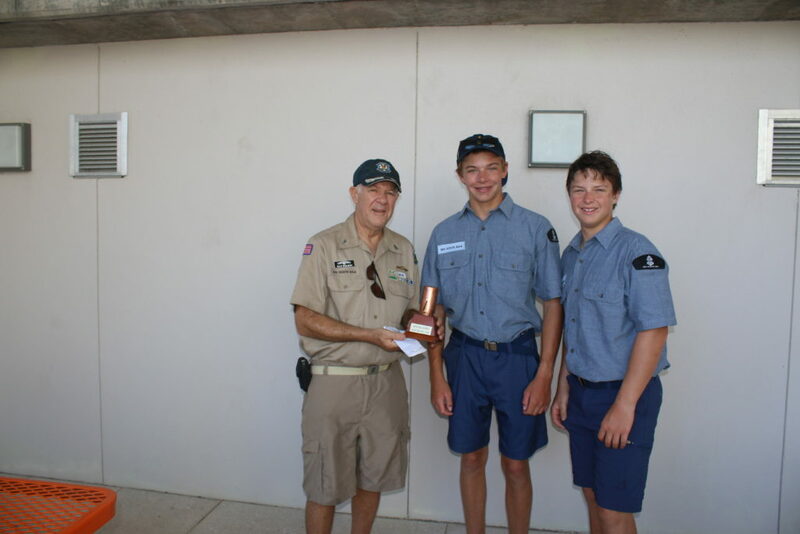 Day Two of J/105 North American Championships by LYC member Kim Payton. 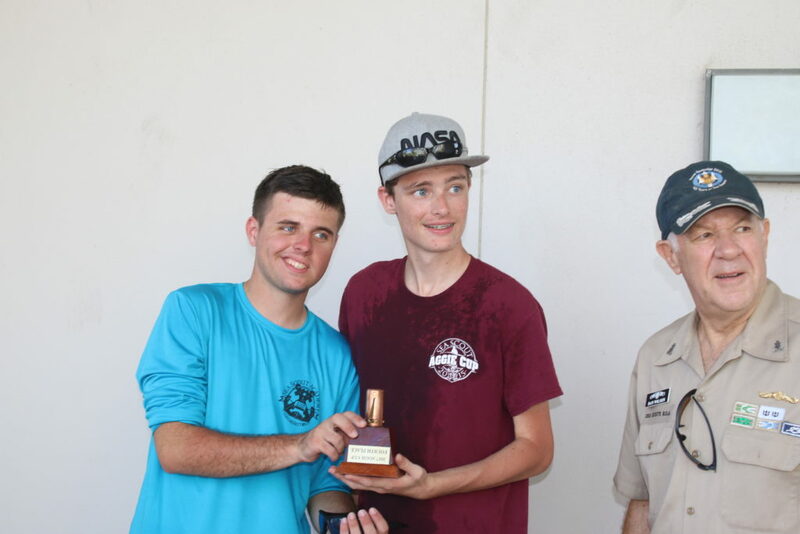 Last week, 22 J/105s representing clubs from across North America, Bermuda and beyond raced on Galveston Bay to determine the 2017 North American Champion. 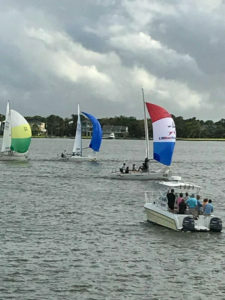 Lakewood Yacht Club also hosted the first J/105, Fleet 17 Fall Invitation Regatta last month to help local boats prepare for the North American Championships. Hosting the invitational must have paid off; three local racers took the top three spots. Sailors, volunteers and guests gathered in the LYC Ballroom for cocktails, dinner and dancing on Saturday, Oct. 28th. Live entertainment was provided by The Anchormen. 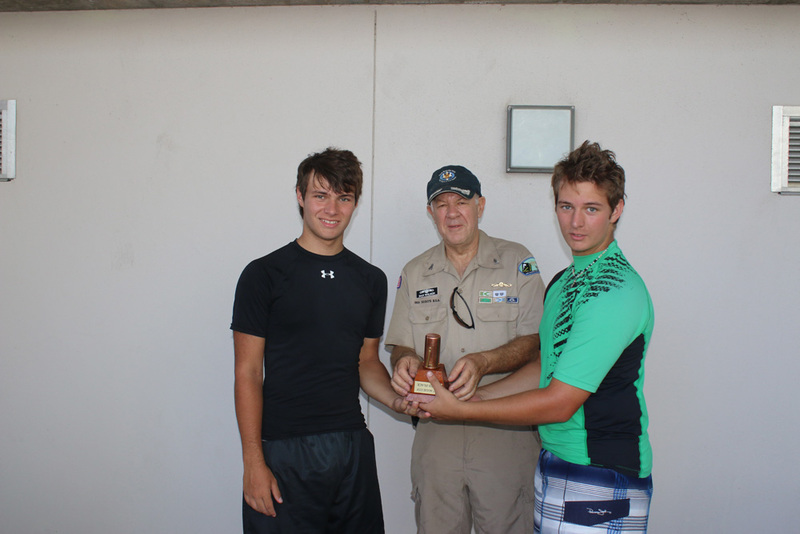 The Awards Ceremony was held in the LYC Lounge on Sunday. Sponsors for this event included City of Seabrook, Bay Access, Upstream Brokers, Seabrook Marina, nue Vodka, Layline Petroleum, Leeward Yacht Club, Hayes Rigging, Davis Marine & Electronics, J/Boats Southwest, George Ocean Rum, Blackburn Marine, OJ’s Marine, Quantum Sails, YES Marine, UK Sails, Calamity Gin, Little Yacht Sails, True North Marine, JR Ewing Bourbon. Visit www.j105nac.com for details. 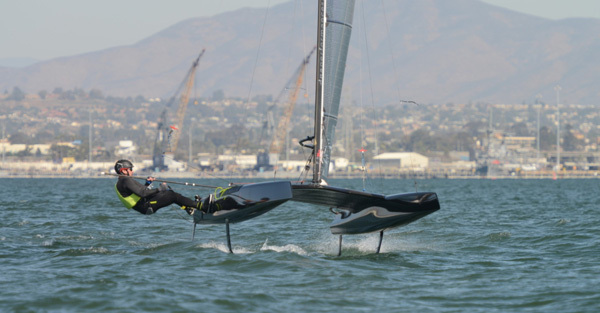 Or, for more information about J/105 Fleet 17, contact John Barnett at J22B@comcast.net or 281 414 4010. A J/Boats Legends Celebrity Racing Event was held on Clear Lake on Friday, October 20th in celebration of 40 years of J/Boats. Photo by LYC member Andrea Todaro. Lakewood Yacht Club hosted the 8th Annual J/Fest Southwest Regatta October 21-22, 2017. 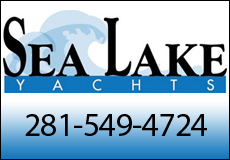 Full results are available at www.lakewoodyachtclub.com. This year’s festivities also included a celebrity racing event on Clear Lake that spectators enjoyed watching and listening to humorous live commentary on from the newly opened BARge 295 in the location of the old Turtle Club. On Friday, Oct. 20, at 1600, J/Boat legend racers Jeff Johnstone, Scott Young, Farley Fontenot and Jay Lutz set off to measure their racing prowess on loaned-out J/24s in honor of J/Boats celebrating 40 years in the making. Sailors, volunteers and guests enjoyed the annual Saturday night party, which included live music poolside by Jerry Angeley and by the LC Roots Band in the LYC lounge as well as a Frogmore Stew traditional shrimp dinner in the grand ballroom. The LYC bar and lounge were at full capacity for the awards ceremony Sunday afternoon. For regatta information or questions about next year’s event, visit www.jfestsouthwest.com. What’s in a Sail Check? 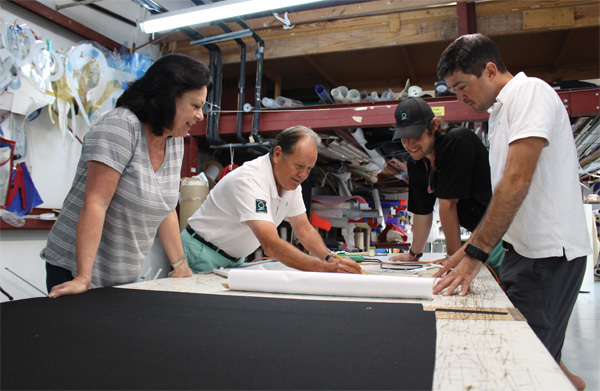 Your sails are an investment and with proper care, you can expect years of satisfaction and enjoyment. Quantum’s Global Director of Client Care Charles Saville describes what our professionals look for during a multipoint inspection. Sail checks can also indicate other potential rigging or tuning issues based on evidence of wear. A simple annual sail check can save you money by avoiding replacing sails more often than necessary, and ensure you don’t lose valuable time on the water waiting for replacement sails. Are you due for a sail check? Contact Quantum Sails Gulf Coast at 281-474- 4168 or gulfcoast@quantumsails.com to schedule an inspection at Quantum’s Seabrook location now. 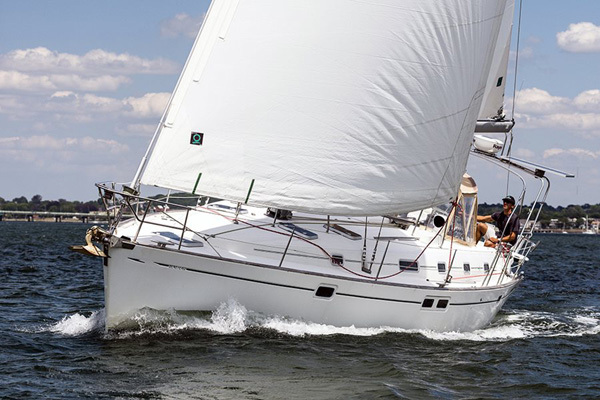 Most owners use sewn-on sun covers to protect furled sails. Sunbrella and WeatherMax are the fabrics commonly used for sun covers. 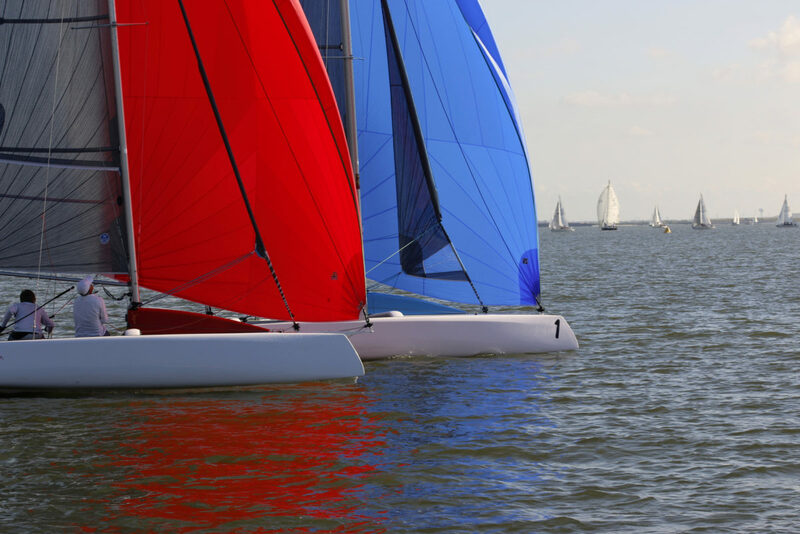 For racer-cruisers and some racing sails like furling code zeros, there are lighter weight options such as UV-treated Dacron®. While there is a gain in weight savings, these materials are not inherently UV resistant. Over time the UV treatment can wear off, with the lifespan of the treatment affected by boat location and amount of time in the sun. In high exposure areas, treated covers may have a lifespan of only a couple of seasons. 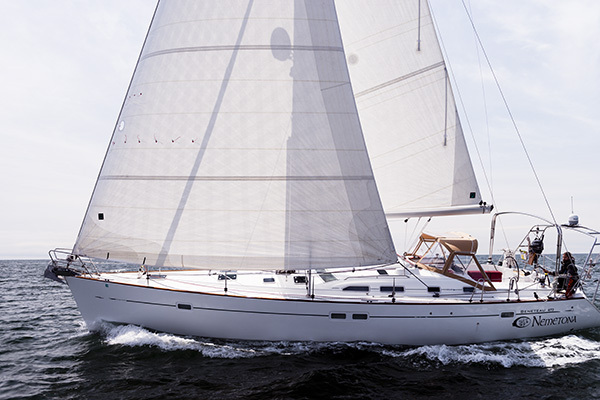 To provide maximum protection for your sails, sun covers require care and maintenance. Remember, if you can see the sailcloth below the cover…so can the sun! 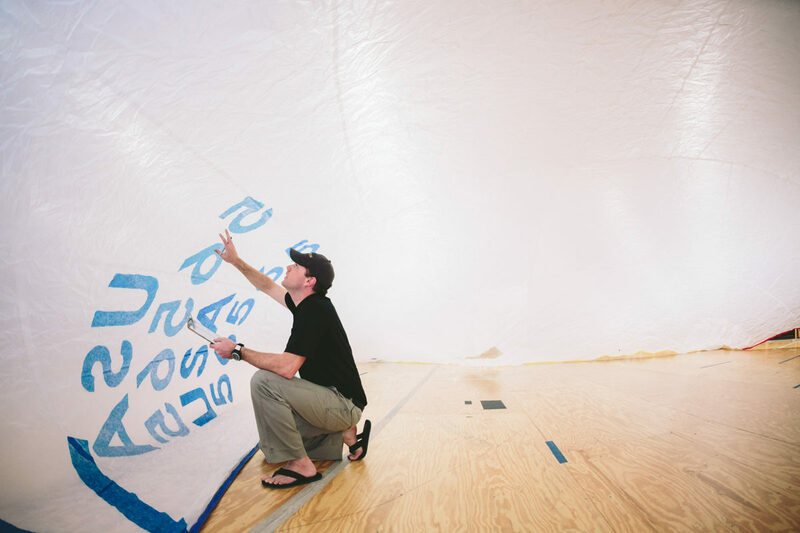 Click here to read more about keeping your sails safe from UV rays. 3. KEEP YOUR SAILS CLEAN. After sun, the second-worst enemy of any sail is salt; but other types of dirt and debris can be just as damaging. 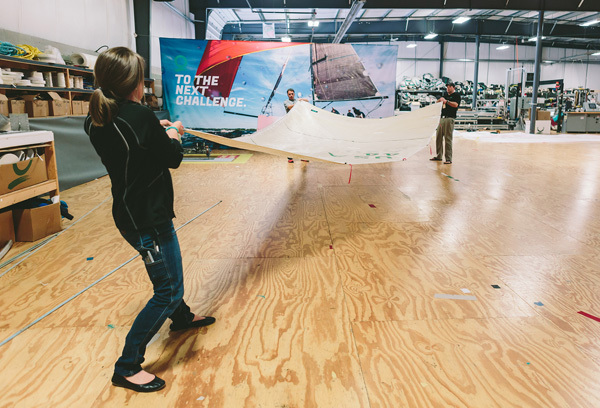 Periodic sail washing is key to maintaining your sails. A couple common-sense rules apply to frequency: 1) a sail that has been exposed to saltwater should be washed sooner rather than later, and 2) all other varying degrees of grime should be removed when possible. A genoa or staysail probably needs washing, or at least a rinse, more frequently than a mainsail that is stowed under a cover on the boom or furled when not in use. Not sure if your sails are salty? Run a finger along the foot and have a taste…you’ll know right away! 4. HIDE THEM FROM THE ELEMENTS. 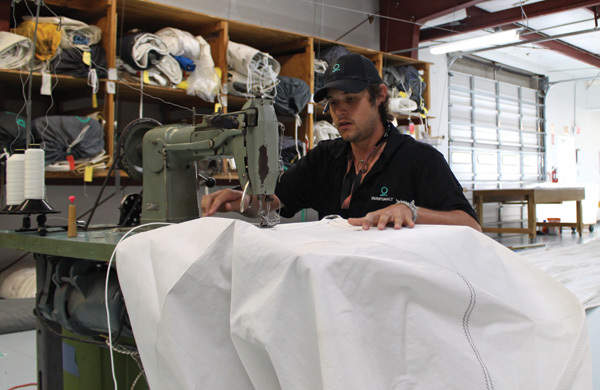 Sailmakers generally refer to the life of a sail in hours or seasons, rather than years. The lifespan is affected by the amount of time sailing and the level of care given to the sails. 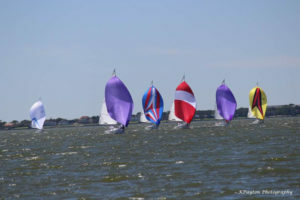 In the mid-Atlantic region, the main sailing season can begin in early spring and extend late into the fall. A sailing season in the upper Midwest, for example, is much shorter, thus extending the life of a sail. The lifespan of sails that spend the sailing season furled on your headstay, in your mast or boom, or left on the boat to endure the frigid months of winter, will be much shorter than the life of sails that are properly protected or stowed. At least once-a-year sails should get a check-up. To do this yourself, find a dry place in good light where you can lay them flat, then work your way over every inch of the sail, looking for trouble spots such as abrasion or loose stitching. Small problems can turn into bigger problems later, so be sure to note even the smallest details. Alternatively, you can drop off your sails at a nearby Quantum loft for our multi-point inspection. Even simpler, with one call we can handle sail removal, transportation and inspection for one sail or your whole inventory. Even a well-protected spreader-tip or navigation light can wear a sail tack-after-tack. For these areas, a spreader-patch (or navigation light-patch, etc.) might be the answer. 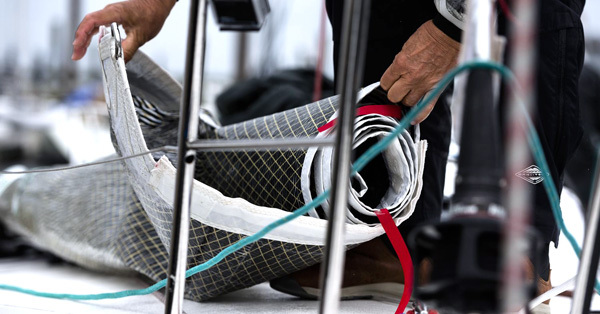 Quantum service experts use a variety of materials for these abrasion-resistant patches, ranging from pressure-sensitive-adhesive-backed Kevlar for a racing genoa to Sunbrella® cloth for cruising sails. Pretty simple here. There’s a good reason new sails come with a sturdy bag and it’s not just another place for a logo. That bag is a much cheaper sacrificial covering than the sail inside of it. Take a look at an old sail bag that’s scuffed and torn-up, now imagine if that were your sail. Not good. It can be a pain to keep track of bags, but used regularly, they can really earn their keep. 10. IF YOU DON’T KNOW…ASK. Contact Quantum Sails Gulf Coast at gulfcoast@quantumsails.com or 281-474-4168 to learn more about protecting your investment. Visit QuantumSails.com for more great tips and tricks to help you meet all of your sailing challenges. Invitation to the Centennial Celebration of the Houston Yacht Club, 1997. Artwork by Al Barnes. Photos: HYC Archives. Sam Akkerman, author of the book From Buffalo Bayou to Galveston Bay: The centennial history of the Houston Yacht Club, 1897 to 1997 on how it came to fruition. How did you get started on this project of writing the book? I became involved in researching and writing about the history of HYC around 1995, two years before the club’s 100 year anniversary celebration. I was invited to attend one of the Centennial Committee meetings where Fleet Historian Tynes Sparks spoke and explained that one of the committee’s goals was to publish a book on the Club’s history and he needed help. He had boxes of old photographs, clippings, and collections of stories he had been putting together for years. Few early records still existed, but Tynes knew the Club’s legendary history was worth telling and that documentation existed at the Houston Metropolitan Research Center (HMRC). As an English major who had always enjoyed research and writing, I was intrigued. Tynes and I scheduled a visit to the HMRC. On that initial visit we found a Houston Post article describing the first formal meeting of the Club, February 2, 1898 at the Binz Building, Houston’s first skyscraper. It was a thrilling find and I quickly became fascinated by the Club’s history stashed away in that building. Because the Club’s founders were prominent Houstonians, I read everything I could find on the city’s history and the early 20th century development of the Galveston Bay area as a summer destination for Houston residents. I located and interviewed many children and grandchildren of the founders and early members. They were all aware of their families’ connections to HYC and generously shared photos and stories. What surprised you the most as you gathered information about the history of the club? Many discoveries were made along the way. 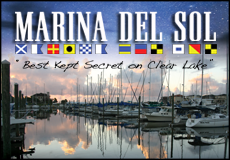 When I started, we knew that the Club originally met and kept their boats near the foot of Main Street in downtown Houston. Research enabled us to document specific locations: for a while a wharf was leased at the foot of Travis Street and meetings were held in a ‘tin shack’ near today’s Spaghetti Warehouse. Another important ‘discovery’ was realizing the true significance of our early membership in the Gulf Yachting Association (GYA). 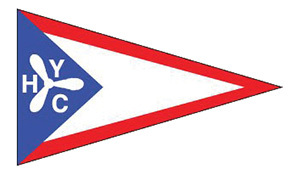 In 1920 we became a founding member of the venerable southern boating organization that promoted inter-club competition in affordable one design boats from Florida to Texas. 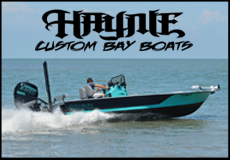 A bay home was needed for the boats, practices, and competition required by the amateur, family friendly, GYA program which the Club embraced wholeheartedly. I believe the mission HYC fulfills today was shaped by that program. And I must mention the oft forgotten role the Club played in the early development of the Houston Ship Channel. The members were not only vocal in their support but their yachts were used to tour dignitaries and visitors who had the power to influence the legislation to dredge the Bayou and Bay into a waterway that would accommodate ocean going vessels. This focus of the Club continued until World War I. By then the Port was well on its way to becoming the giant we know it as today. 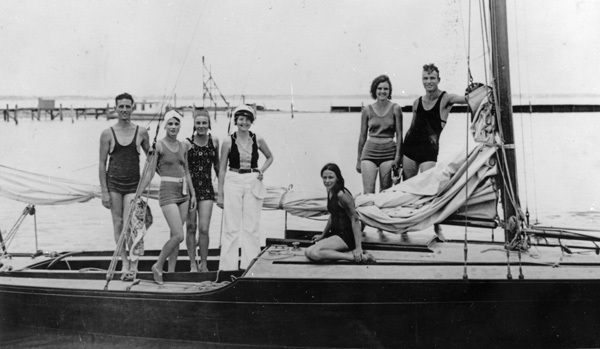 Madlin Stevenson and friends on an R-boat in the Houston Yacht Club harbor in 1929. Is there a favorite story about some of the members that made you laugh out loud when you were doing research? Humor reigned throughout the years. Choosing one incident is impossible. Theme parties with elaborate costumes were the norm after World War II. Props might include a live donkey in the Porthole bar or an old footed bathtub for serving “bootleg gin.” Beginning in 1936 the Dumbbell Award was presented periodically to recognize boating mishaps. Recipients and their ‘dumb’ mistakes were carefully recorded in a small gold stamped binder. Helmsmen, not crew, falling overboard seem to have been quite common. Where did you grow up and when did you become a member of the Houston Yacht Club? I was born in Louisiana but grew up in Texas. My family moved to Houston when I was 12. In 1989, my husband bought a catamaran and we were sailing it one weekend when we saw a long line of Sunfish being towed behind a motor boat. Each boat had a young skipper on board, relaxing as they cruised along under tow. We learned they were HYC Ragnots (as the Club’s youth are called) and they were on their way across the Bay to an inter-club regatta. My daughters were 9 and 12, a perfect age to become Ragnots and the next summer I was one of the moms in the motor boats towing kids across the Bay. Is there a favorite time period in the club’s history that really stands out in your mind? The early years of the Club are among my favorites to study. Members had a fleet of amazing long, sleek luxury yachts which would rival any port in the south. They were prominent businessmen who worked tirelessly to promote the city and ship channel. Yet they commissioned a fleet of small one design sailboats for fair competition. Their younger members formed the Launch Club Canoe Division and explored islands in the Bayou that have long since disappeared. Their cruises were intended for family members and their regattas were events designed to be enjoyed by all ages, boaters and ‘landlubbers’ alike. We are proud to have a very well documented article on HYC’s history accepted and included in the recently launched Handbook of Houston, a publication of the Handbook of Texas Online, the most highly respected resource of state history. Another months long project completed this spring is a permanent exhibit at the Club that honors HYC’s nationally recognized reputation for excellence in race management. Our research documented the national, international, and world regattas that HYC has hosted in the last 120 years. This information was then incorporated into a striking professionally designed display in the Club’s lobby. The project commemorates our 90/120 Celebration – this year the clubhouse is 90 years old and the organization is 120 years old. Tell me a little bit about your relationship with Rice University. In 2010 a large portion of our archives was digitized as part of an online exhibit that includes materials from Rice University and the Houston Area Digital Archives at the Houston Public Library. The exhibit, Business and Pleasure on Houston Waterways, explores the relationship Houston has with Buffalo Bayou and Galveston Bay. It was an honor for us to be included in this project and it also provided us with a unique opportunity to preserve our archival materials – the scanned images are safe – permanently stored and accessible online. As well, it provides another method of sharing our history. 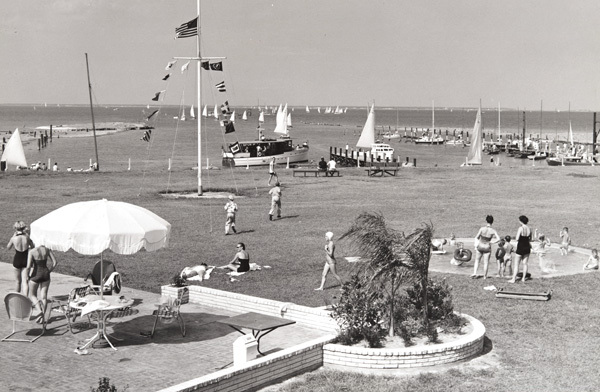 View overlooking lawn, wading pool, signal mast and harbor of the Houston Yacht Club during the Annual Regatta of 1954. 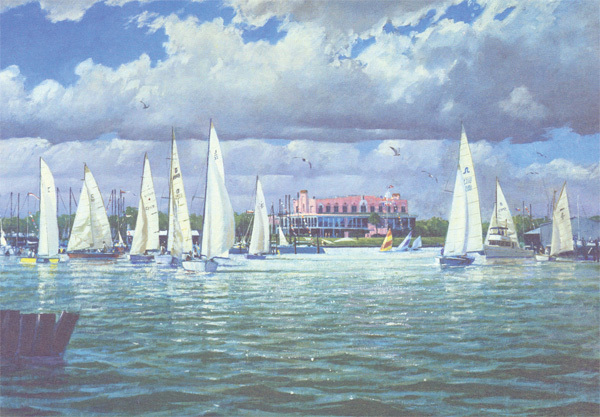 The Houston Yacht Club has a long tradition of bringing families together who love boating on Galveston Bay. In your opinion, is this still the best way to describe the mission of the club today? Yes. Bringing together families who love the bay does describe what HYC is all about. As the older Ragnots leave for college, a new generation sails out to claim their own place in the cluster of Optis at the start line. 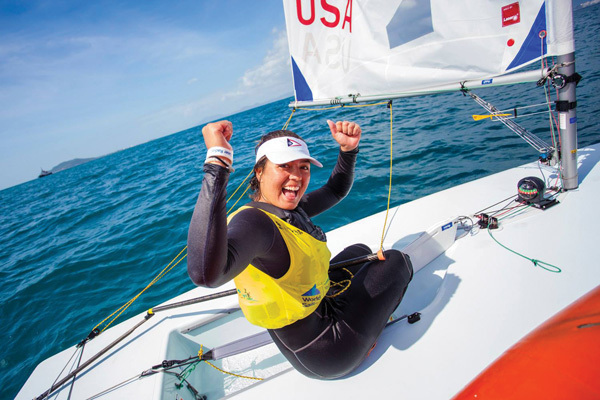 Experienced sailors teach the sport and share their boats with novices. 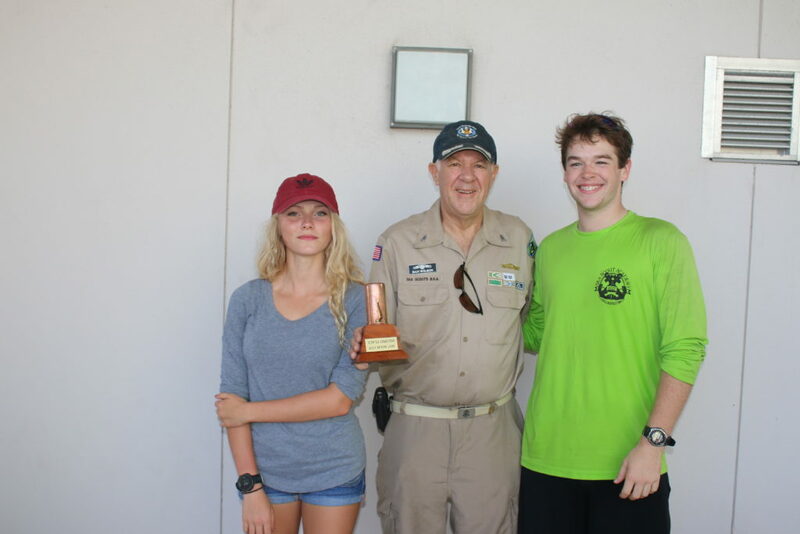 New volunteers join the long time volunteers who organize the programs and events for all ages and the well run regattas that make Galveston Bay a nationally known recreational boating center.